I had dated 5 girls when I was in Pre-U. There is one girl who I love a lot but never dared to go after. She didn’t have a pretty face, good figure or an outstanding charm. She was just a very ordinary girl. I liked her. I really liked her. I liked her innocence, her frankness, her intelligence and her fragility. Reason for not going after her was that I felt somebody so ordinary like her was not a good match for me. I was also afraid that after we were together all the feelings would vanish. I was also afraid other’s gossip would hurt her. I felt that if she were my girl, she’d be mine ultimately & I didn’t have to give up everything just for her. The last reason, made her accompanying me for 3 years. She watched me chase other girls, and I have made her heart cry for 3 years. She was a good actor, and me a demanding director. When I kissed my second girlfriend, she bumped into us. She was embarrassed but smiled & said, “Go on!” before running off. The next day, her eyes were swollen like a walnut. I did not want to know what caused her to cry. Later that day, I returned from soccer training to get something & watched her cry in the classroom for an hour or so. My fourth girlfriend did not like her. There was once when both of them quarreled. I know that based on her character she is not the type that will start the quarrel. However, I still sided my girlfriend. I shouted at her & ignored her feelings and walked off with my girlfriend. The next day, she was laughing & joking with me like nothing happened. I know she was hurt but she did not know deep down inside I was hurt too. When I broke up with my fifth girlfriend, I asked her out. Later that day, I told her I had something to tell her. I told her about my break up. Coincidentally, she has something to tell me too, about her getting together. I knew who the person was. His pursuit for her had been the talk of the School. I did not show her my heartache, just smiles & best wishes. Once I reached home, I could not breathe. Tears rolled & I broke down. How many times have I seen her cry for the man who did not acknowledge her presence? During the 3 years of Pre-U, I was on very close terms with a guy as buddy kind. However, when he had his first girlfriend, I learnt a feeling I never should have learnt – Jealousy. Sourness to the extreme limit. They were only together for 2 months. When they broke up, I hid my happiness. But after a month, he got together with another girl. I liked him & I know he liked me. But why won’t he pursue me? Since he loves me why he didn’t he make the first move? Whenever he had a new girlfriend, my heart would hurt. After some time, I began to suspect that this was one-sided love. If he didn’t like me, why did he treat me so well? It’s beyond what you will normally do for a friend. I know his likes, his habits. But his feelings towards me I can never figure out. You can’t expect me a girl, to ask him. Despite that, I still wanted to be by his side. Care for him, accompany him, and love him. Hoping that one day, he will come to love me. Because of this, I waited for him. Sometimes, I wondered if I should continue waiting. The pain, the dilemma accompanied me for 3 years. At the end of my 3rd year, a junior pursues me. Everyday he pursues me. He’s like the cool & gentle wind, trying to blow off a leaf from a tree. In the end, I realized that I wanted to give this wind a small footing in my heart. I know the wind will bring the leaf to a better land. Finally, leaf left the tree, but the tree only smiled & didn’t ask me to stay. 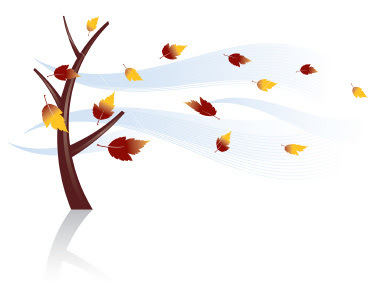 Leaf’s departure is because of Wind’s pursuit. Or cause Tree didn’t ask her to stay. Because I like a girl called leaf. Because she’s so dependent on tree, so I have to be a gust wind. A wind that will blow her away. When I first met her, it was 1 month after I was transferred to this new school. I saw a petite person look ing at my seniors & me playing soccer. During ECA time, she will always be sitting there. Be it alone or with her friends, looking at him. When he talks with girls, there’s jealousy in her eyes. When he looked at her, there’s a smile in her eyes. Looking at her became my habit. Just like, she likes to look at him. One day, she didn’t appear. I felt something missing. I can’t explain the feeling except it’s a kind of uneasiness. The senior was also not there as well. I went to their classroom, hid outside and saw my senior scolding her. Tears were in her eyes while he left. The next day, I saw her at her usual place, looking at him. I walked over and smiled to her. Took out a note & gave to her. She was surprised. She looked at me, smiled & accepts the note. The next day, she appeared & passes me a note and left. “It’s not that leaf heart is too heavy. It because leaf never want to leave tree.” I replied her note with this statement and slowly she started to talk to me & accept my presents & phone calls. I know that the person she loves is not me. But I have this perseverance that one day I will make her like me. Within 4 months, I have declared my love for her no less than 20 times. Every time, she will divert away from the topic. But I never give up. If I decide I want her to be mine, I will definitely use all means to win her over. I can’t remember how many times I have declared my love to her. Although I know, she will try to divert but I still bear a small ray of hope. Hoping that she will agree to be my girlfriend. I didn’t hear any reply from her over the phone. I asked, “What are you doing? How come you didn’t want to reply?” She said, “I’m nodding my head”. “Ah?” I could n’t believe my ears. “I’m nodding my head” She replied loudly. I hang up the phone, quickly changed and took a taxi and rush to her place & press her doorbell. During the moment when she opens the door, I hugged her tightly. by Anonymous. Found on the web. nice one ,especially the line “Leaf’s departure is because of Wind’s pursuit. Or because Tree didn’t ask her to stay”..